Hey friends and strangers! 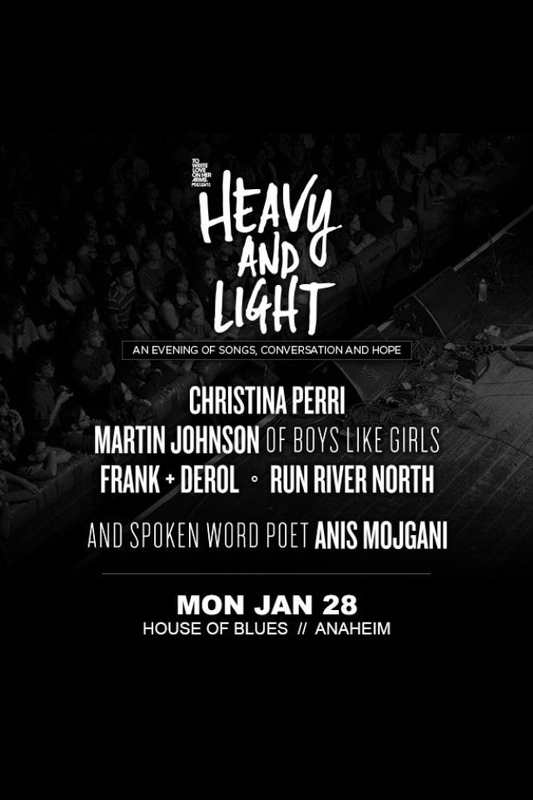 I just found out that Run River North is performing at the House of Blues in Downtown Disney on Monday, January 28th! If you don’t know who Run River North is, then you might remember when they were formerly known as Monsters Calling Home. I haven’t listened to their music for awhile especially since I was jamming to holiday music 24/7 since November. This is definitely a great time to get back to listening to everyday music of mine which includes Run River North! It doesn’t hurt to see them perform again! Christina Perri is performing also that night. She’s known for her songs “Jar of Hearts” and “A Thousand Years” (I think that song was in one of the Twilight movies). Before watching them perform, I’m thinking about checking out Earl of Sandwiches in Downtown Disney. Everyone’s been talking about this place for awhile and I heard they’re really good! I can’t wait for good food and good music!